Who’s up for a family-sized serving of gaturducken?!? 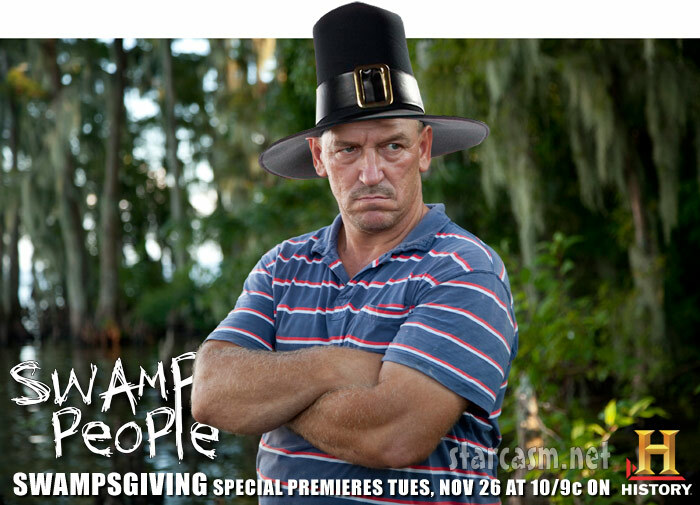 History Channel is inviting us all over for Thanksgiving in the swamp in the form of “Swampsgiving,” a holiday themed episode of Swamp People set to air Tuesday, November 26 at 10/9c. The special will give viewers a glimpse into the lives of the world’s most famous gator hunters during the off-season as it explores the various Thanksgiving traditions celebrated by the cast members and their families. 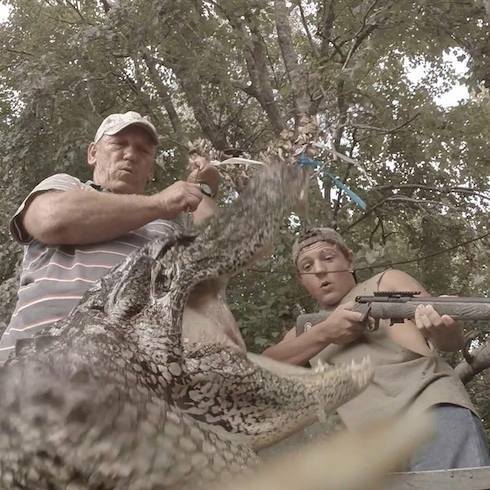 New York, NY – November 8, 2013 – Gator season has come and gone, but down in the swamp, life goes on for the beloved Swamp People. In this special holiday-themed episode, SWAMPSGIVING, premiering Tuesday, November 26 at 10PM ET/PT, viewers get an exciting glimpse at the world of the swamp in the off-season and the various traditions surrounding the Thanksgiving holiday down in the bayou. In this episode, family, friends and food take center stage. Viewers will follow the food from the swamp to the table complete with all of the hilarity and hijinks that America knows and loves from Swamp People, as well as a healthy dose of heartwarming Cajun holiday. 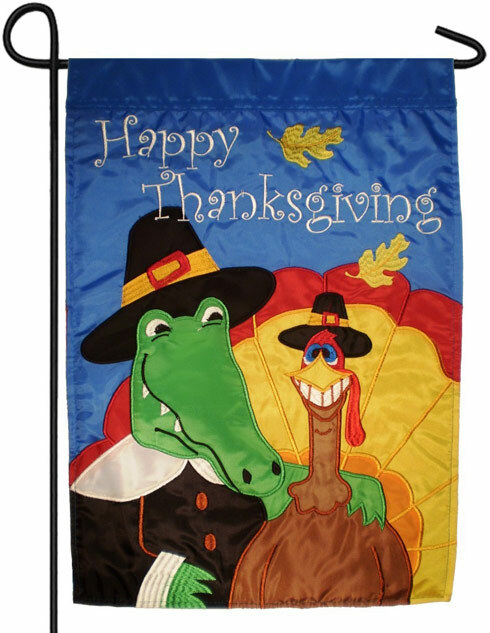 Swampers are going all out to make this year’s family feast one to remember. Troy Landry, otherwise known as King of the Swamp, has invited Texan swampers, T-Roy and Bigfoot, over to celebrate and have a little swamp-style fun. Fans will see Troy challenging the Texans to a “hog-off”: whoever catches the biggest beast is the winner and the loser has to prepare both hogs for the family feast. Over in Houma, RJ and Jay Paul Molinere are embarking on a nighttime bow hunt looking to catch red fish for their famous Cubion. Meanwhile, Gator Queen, Liz Cavalier, is making her family’s specialty: fried nutria rats. The Cavalier clan takes viewers on a ride as they hunt the furry critters from their airboat. Swamp People is the story of the American spirit, of the lost art of doing things the right way and of the unyielding desire to preserve a dying way of life from the encroaching modern world. Deep in southern Louisiana, there are nearly 1 million acres of flooded forest, marshland and bayous – the Atchafalaya Swamp – which is unlike any place else in the United States. It’s a hidden world, a place where nature still rules – one of the least known territories in the United States. But a hardy breed of “Swamp People” know the secrets of this dangerous mysterious territory. Most are Cajun descendants of French-speaking settlers who came from Canada in the 1700s – and their way of life has been fundamentally the same for generations. They are America’s forgotten pioneers. SWAMP PEOPLE is produced by Original Media for HISTORY. Executive Producer is Charlie Corwin and Adam Briles. Executive Producers for HISTORY are Zachary G. Behr and Wendy Greene.